Quinns: Morning, everyone! How’s your day going? Stuck at work? At least you don’t have a contract killer walking around with your personal details. Today is the first day of my Street Wars game, a four week, one-hit kill watergun fight. You can track our game here. Oh god, somebody’s already died. This is just like the Hunger Games. Except I’m only hungry because I’m too scared to go to the shops. 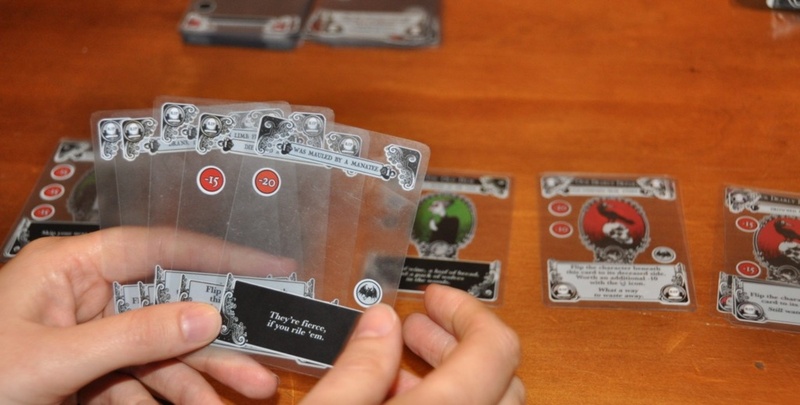 Gloom, seen above, is another popular game of pitiful situations, and this week we learned a 2nd edition is on the way. Unusually for a game about being trapped down wells and murdered by squids, the new edition will be a fairly undramatic thing. The best part is that Gloom’s three out-of-print expansions – Unwelcome Guests, Unhappy Homes and Unfortunate Expeditions – are all being reprinted! And we’ll get a host of “minor improvements to gameplay and card design”, but all still be compatible with your existing Gloom cards. 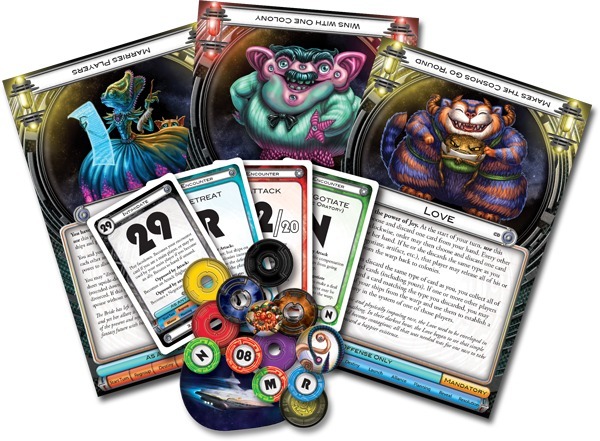 Basically, the idea in Gloom is you want your delightfully translucent family member cards to be as miserable as possible before finally playing a card like “Starved in a Storm”, closing their sordid loop and scoring yourself some points. Except, of course, your opponents are playing hateful cards that make, for example, for family dog happier. Being the parade of jerks that we are here at SU&SD, we don’t play many comedic, “take-that”, lightweight card games. But if we did, they’d almost certainly be ones as spooky and beautiful as Gloom. 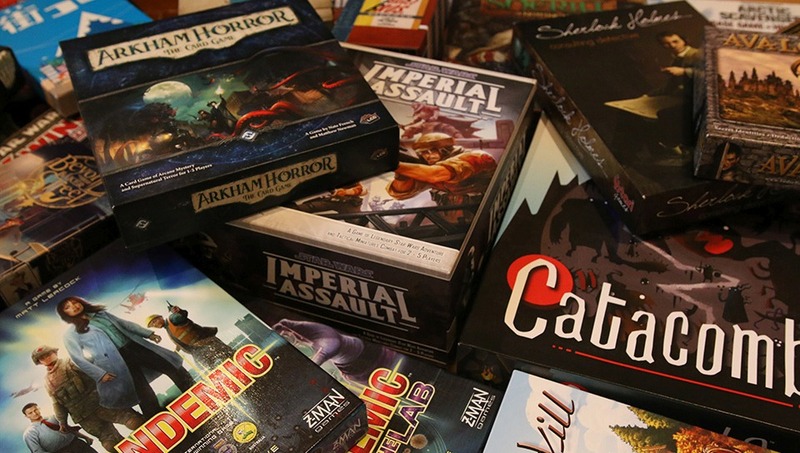 It’s actually been a pretty hot week for card game expansions. We’ve got news that the expansion to tthe excellent Machi Koro, a Japanese game that has players building towns by (a) rolling dice, and (b) screaming, will be arriving in English later this year. Machi Koro: Harbor Expansion will add new seaports, airports, farms, landmarks, and all kinds of other things for you to invest in, only to earn nothing at all from, while the player to your left rakes in billions from his one sodding Family Restaurant. Good times. But wait! We’ve also heard that a second Machi Koro expansion will be arriving in Japan soon, and the West soon after that. Never mind any of those new buildings buildings. The box itself is looking more and more like a wise investment. 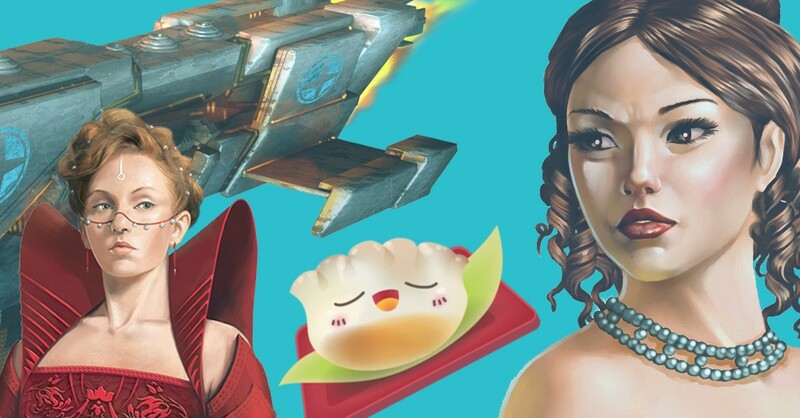 Our next card game expansion announcement takes us into outer space, where there are no angry men and women with my home address and Super Soakers. It must be peaceful. Cosmic Dominion is the fifth (fifth!) 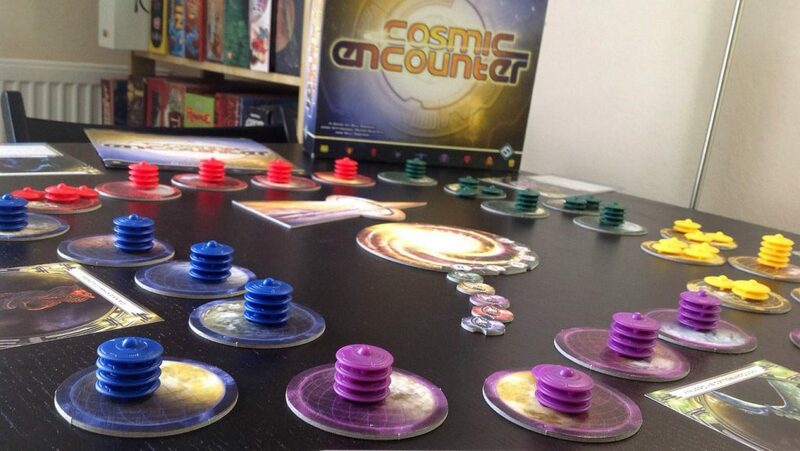 expansion to Cosmic Encounter, and it’s perfectly timed to rejuvenate my interest in buying still-more aliens for Cosmic, because it could not look more mad. The thirty aliens within are all designed by the game’s fans, you see, which is how we ended up with The Bride (can marry and divorce other players), The Explorer (can add new planets to the table) and The Tourist (drives clockwise around the table in a luxuruy cruise liner token). Plus, it offers a brand new Defender reward deck! Which might mean nothing to you if you haven’t played Cosmic, but imagine if football was no longer played using a football, but a live piglet. That’s the magnitude of what we’re dealing with here. 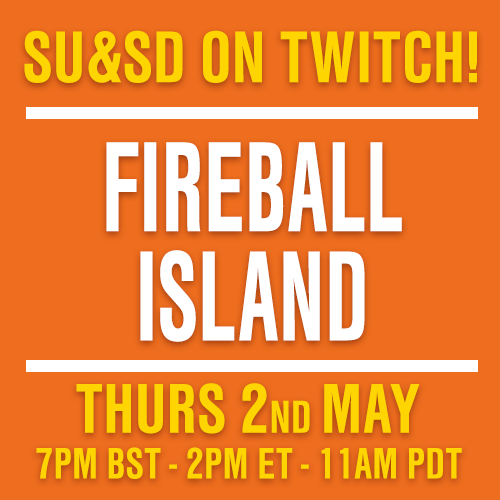 I’m not willing to abandon this card game news-streak just yet, so we’ll cover the Kickstarters next. Gods’ Gambit is the new game from Seiji Kanai, designer of Love Letter, and it looks just fine. It’s the video that’s captured my heart, though, presenting table games with a touch of the class you’d expect from the Cannes film festival. I also enjoyed Kanai describing the game as “mischievous”, and his producer talking with the body language of a police chief telling me how to disarm a bomb. Meanwhile, nonsense-simulator and curse word-generator Wiz-War has had a 2nd expansion announced which will finally bring tewwible monstures to your wiz-arena. Wiz-War: Bestial Forces will add three new schools of magic to the game in the form of Mythology, Draconic and Totem, which can be summarised as “lets you summon a minotaur”, “lets you pretend to be a dragon” and “lets you summon really pissed-off ancestors”. What? 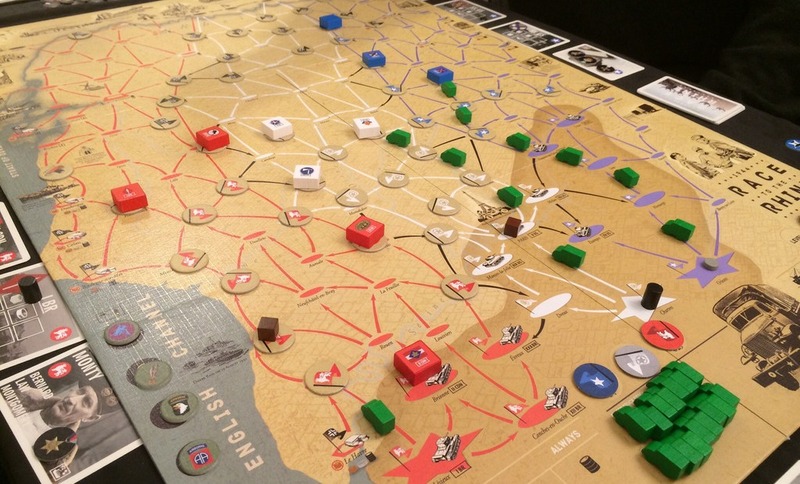 But 1944: Race to the Rhine might just get filed alongside Sekigahara as one of those wargames so thematic and gorgeous as to deliver a firm shove to anyone who’s on the fence about wargames. Managing great convoys of trucks across perilously tiny roads doesn’t sound so intimidating, and look at all that wood! Lovely wood. …Oh god. Is that the games news over? Do I have to go outside? Pray for me, guys.